Charities that provide on-the-scene care after serious accidents will be able to recover VAT through a grant announced in yesterday’s Budget. The move, announced by the Chancellor of the Exchequer yesterday afternoon, is expected to bring the situation for accident rescue charities into line with similar charities, such as air ambulances and search-and-rescue charities, which already get VAT refunds on goods and services. Budget documents released yesterday said the Accident Rescue Charities Grant Scheme would “be provided to help accident rescue charities meet the cost of normally irrecoverable VAT”. The Treasury was unable to provide any further details of the plan, such as how much money would be available or which items would be eligible for the refund, in time for Third Sector’s deadline on Thursday morning. The new scheme has been welcomed by the Suffolk Accident Rescue Service, one of the charities likely to be able to claim from the fund. The charity had an income of £103,100 in the year to 31 March 2016 and spent £98,800, and one of the charity’s trustees and former patients, Harry Richardson, said the refund had the potential to have a large impact on the charity. “It’s a big issue for us because we’re quite a small organisation, but because of the work we do we have to make quite big, expensive purchases,” he said. 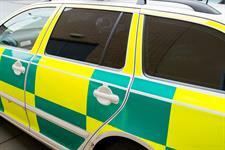 “A new emergency vehicle can cost upwards of £30,000, for example. “The VAT on those can be the difference between whether or not we hire a new member of staff. We have one full-time and two part-time, so that would be expanding our workforce by a third. Richardson said the organisation had been campaigning alongside Jo Churchill, the Conservative MP for Bury St Edmunds, to try to achieve equity with similar charities. Churchilll said she “wholeheartedly” welcomed the announcement of the scheme. “I have campaigned on this issue with Harry Richardson for over a year and I am delighted that the Chancellor has taken this important step,” she said. John Hemming, chair of the Charity Tax Group, said the fact that VAT refunds had also been extended to Police Scotland in the Budget showed there was no technical obstacle to VAT refunds – the only issues were political will and cost.